Make your high school memories last by getting portraits with the people who were by your side for some of the most memorable years of your life. Preparing for your portraits can be expensive. Many of you will invest time and money into getting your hair and makeup done, you may possibly take an afternoon off work or away from practice for your portrait session. It’s important to be smart when scheduling your portrait session to get the most out of it. Do yourself a favour and coordinate your portrait session time with your friends. If everyone gets their portrait session done on the same day, you can join each other for a friendship shot (one pose of 3 people) or go for coffee or dinner afterwards. While we’re on the topic, don’t forget to take your outfits into consideration. Make sure you coordinate, perhaps everyone wears black or you and your friends choose a theme. 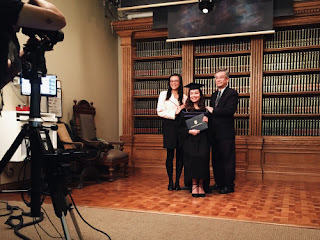 It’s a great idea to check out your family’s graduation portraits. This will help you get a sense of what you like and don’t like. If your parents are planning on hanging up your pictures together, you might want to take note of what would look good together. For example, if your sibling has a black and white graduation portrait hung up in the hallway you may want to make sure you get a black and white portrait as well to hang up beside it. Make sure you take the time to find someone to come to your portrait session with you, whether it be your best friend, your mom or your sibling. It's great to have an extra set of eyes with you, someone to provide an opinion and to help make sure you are looking your best for each shot. Although Artona offers photo retouching, it doesn’t hurt to have someone tame that fly away or help you fix your tie. There’s nothing wrong with staying trendy, but be mindful that these pictures will be around forever. So, take a second to think about your accessories and your outfit. The simpler, the better--after all, you are the focus of the portrait session. Congratulations to everyone graduating this year. If you need help booking your graduation portrait session or want to book another session, give us a call at (604) 872-7272 or email us at social@artona.com. More questions? We’ve got the answers. Visit our FAQ page here. Family portraits can be a great way to capture memories over the years as children grow up and families expand. We’ve all seen the typical family portrait where everyone is wearing their Sunday best. There is absolutely nothing wrong with that, but if you're willing to switch it up, we’ve got some fun ideas for you to consider. Below is a collection of some of the most popular themes we have come across for family portraits, plus some creative ideas of our own. You can’t go wrong with having everyone dress in all white or all black. It makes a statement every time and brings the focus in on the family. Monochromatic themes are very elegant and clean. They can make any portrait feel more modern. Try experimenting with different colours, keeping in mind where you’ll be displaying the portrait. For example, if your home has red accents why not have outfits in different shades of red? The portrait will complement your home and stand out all at the same time. A spin on the traditional monochromatic portrait. Traditionally you might dress “nice” for these portraits, but why not amp it up? Ditch the Sunday best and pull out the glam. Go for a black-tie theme complete with evening dresses and tuxedoes. Or you could get really glamorous and do a Great Gatsby theme. This will definitely catch the attention of visitors in your home and it’ll be you at your very best. It’s fun but still formal. You could go the polar opposite and really dress it down. We like this theme, as jeans and a white tee can have so many different variations. It gives family members the opportunity to still make their outfit their own while still having a cohesive look for the images. The casual jeans and tee can make for a very genuine and fun portrait. Holiday portraits tend to be very structured with formal attire. We recommend going for a cozy winter theme instead. You can tie the monochromatic idea into this and go with a mix of white and beige and/or off-white sweaters to make for an elegant holiday card. If you want to get crazy you can try an ugly sweater theme. It’s different and it’ll keep you and your family laughing throughout the holiday season. View our look book online to peruse through other family portraits to get ideas for your own session. We encourage you to take a leap and try something new but we’ve still got you covered if you want to keep it traditional! Ready to get started? Book an appointment. More questions? We’ve got the answers. 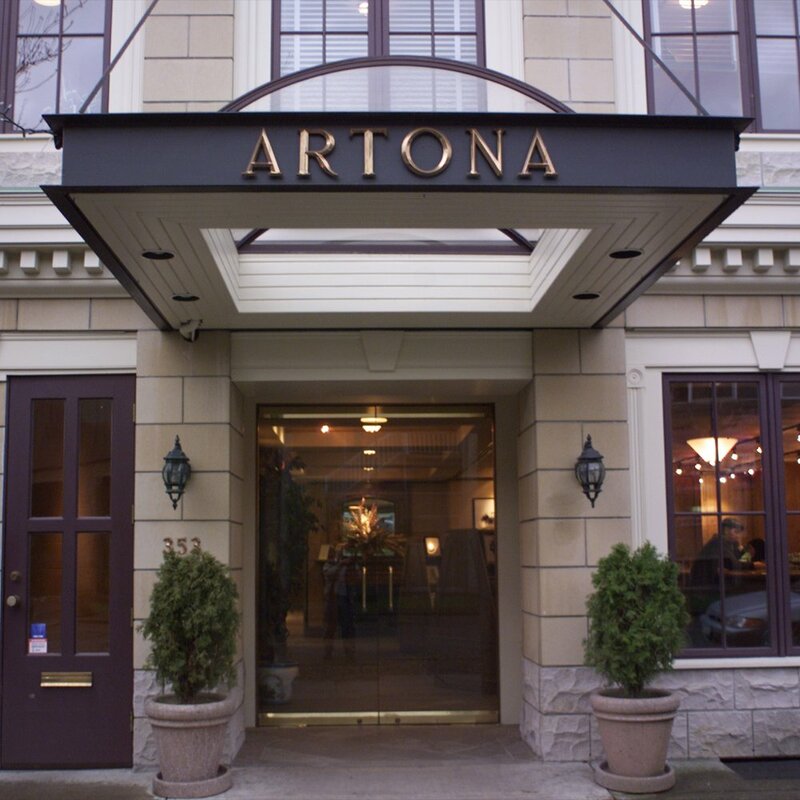 Visit our FAQ page here, email social@artona.com or call us at (604) 872- 7272. The day of your portrait session, please make sure you arrive between 15 to 30 minutes before your scheduled appointment time. This will give us plenty of time to get acquainted and register you. We also need a little time to prepare before each session. If you arrive late, we won’t be able to honour the same time slot. We will try our best to squeeze you in if there is availability that day. 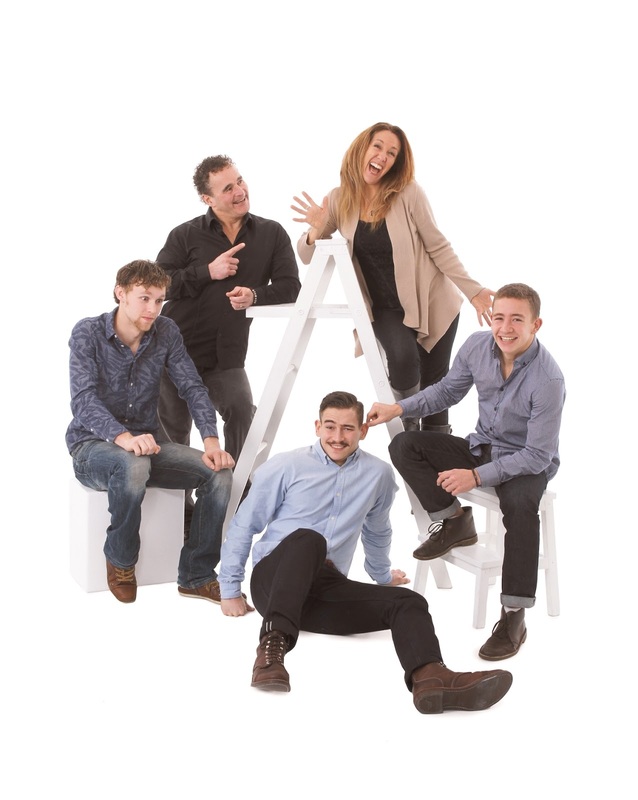 Keep in mind – everyone wants their portrait sessions around the same time, so we do get quite busy. Sure thing! 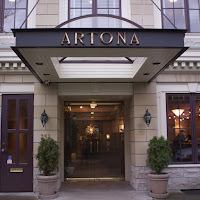 Our studio is located at 353 West 7th Avenue in Vancouver. We are located on the east corner of Yukon Street. Please check your confirmation email to ensure you know the exact location of your appointment (not all appointments are scheduled at our Vancouver studio). If you need specific directions, just visit Google Maps and you can get directions via bus, train or car!